Punch Property Repair are a highly skilled 'all trades' property repair company based in Bury, Greater Manchester. We specialise in all types of property repair and insurance related repairs. We have a large team of experienced and professional tradesmen including electricians, joiners, plasterers, plumbers plus painters and decorators. Our workforce is HSE compliant & highly skilled in a whole range of property repairs. 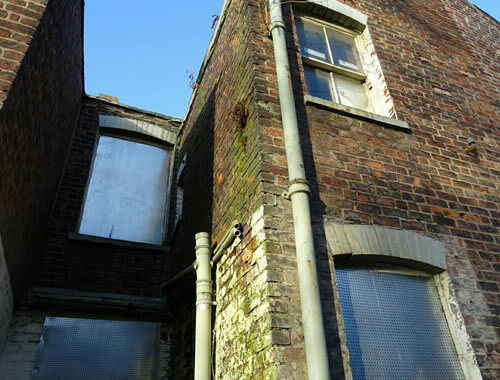 Based in Bury, our affordable property repair service covers the Greater Manchester area including Manchester, Bolton, Bury, Ramsbottom, Heywood, Oldham & Rochdale. Our clients include homeowners, landlords, letting agents, property developers and insurance companies. No job is too big or small so if it's a cottage in Ramsbottom, an office in Manchester, or a house in Bury, request a quote and we will get back to you with no pressure, no fuss, no problem! "That's the way we do it"
With over 25 years experience in all aspects of property repairs, Punch Property Repair are the complete 'all trades' professionals. Our aim is to provide the highest quality property repairs at the most competitive prices.